20 Jul Krysia’s Adventures in FAMI! Krysia Bock, Pilates instructor & participant in this year’s FAMI 2012 workshop, shares her thoughts — and excitement — on the 4-day anatomy immersion course. When someone asks me if I am free anytime between July 19th and 22nd, I’ve been replying with, “Sorry, I’ll be learning how to develop my X-Ray vision” or “Sorry, the anatomy nerd in me will be out in full exhibition.” My responses vary. Most people give me a funny look and don’t ask anymore questions. The reason why I will be busy for those four days is FAMI. I have been talking about the FAMI workshop to my friends and family for months. I’m so excited for this workshop. But for some reason each time I mention this unique anatomy workshop, my friends and family ask “The what workshop? What is it about again?” I explain that the workshop bridges the gap between movement and medicine and that I, a Pilates instructor, will have a chance to be in a Gross Anatomy lab. “Oh.. right, that…” they trail off. Don’t they realize how cool FAMI is? Or how amazing this opportunity is? Just the other day I fervently explained to my father that the FAMI workshop is this one of a kind experience where fitness and movement professionals are able to learn from anatomists and physicians in a unique setting. We are even given the opportunity to see the human body from a completely different perspective – the inside. “What?” he asks with some surprise. And…is that fear I sense in his voice? “We get to look at the inside of the human body. I’ll get to see what the shoulder joint looks like, and all of the ligaments in the foot, and touch a spine.” I could have kept going but at this point my father was making indiscernible noises. Apparently the thought of touching a human spine is not exciting to him. At all. I have encountered very polar reactions when I tell people that I am attending the FAMI workshop. Some have an equally excited reaction (usually other Pilates, yoga or dance instructors) while others shutter and quickly try to change the subject (Dad). I’m happily awaiting the four days of being surrounded by fellow anatomy nerds with strong stomachs. It will be fun to geek out over the construction of the knee and see what a hip replacement really looks like. What I’m looking forward to most of all are the unknowns that will be revealed throughout the four days of lectures and labs. I have spoken with many people who have attended FAMI in the past and they explained how this experience changed their entire perspective on the body. That’s a big statement and a large expectation to live up to, but how could this experience NOT change you? Being exposed to new ways of thinking is bound to bring a shift in your own viewpoints. And I welcome the opportunity. With the workshop right around the corner I find myself feeling ready. Ready to learn, ready to shift, ready to be overwhelmed, ready for the smell of formaldehyde, and I’m ready to develop my X-Ray vision – so watch out Superman, you may be able to save a kitten from a tree without using a ladder, but I’ll be able to tell if you’ve got a bulging disc from all those years of quick take offs and hard landings. Hey FAMI – I’m ready – Bring it on. 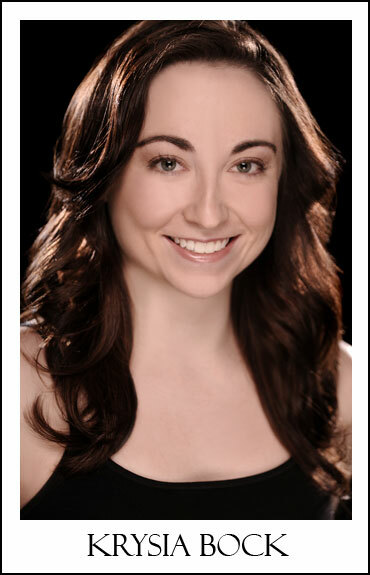 Krysia Bock hails from northern Virginia where she first became interested in dance and movement at a young age. She holds a B.F.A. in Dance Performance from Towson University in Towson, Maryland and attended summer dance intensives at the Boston Conservatory, The Ailey School and The American Dance Festival as a scholarship student. Professionally, Krysia has worked with D.C. based choreographer Francesca Jandasek on the premire of ‘BARE’ at The John F. Kennedy Center for the Performing Arts Millennium Stage. In New York City she has danced with Anahata Dance, Jen Kosky Dance Theater and presented her own choreography at the Chen Dance Center. In the spring of 2011 she completed the 200 hour Yoga Teacher Training at the Ashiyana Yoga Center in Goa, Inida. She is also a Pilates instructor training at The Kane School of Core Integration in New York City. She has taught Yoga and Pilates group classes and private sessions in Manhattan, Brooklyn, University of Florida located in Gainsville, FL and Naropa University located in Boulder, CO. Currently Krysia teaches and practices yoga and Pilates and collaborates with Baltimore based vocal percussionist/beatboxer Shodekeh on work where expression is solely produced by the body.